This is part 2 of a 2 part series, click here to check out part one. Last time I discussed some background about how making the SocialRadar consumer app led us to develop a lot of the core technology we’ve baked into LocationKit – specifically around higher accuracy location and lower battery drain. Here we’ll continue our journey into insights we’ve gained and built into LocationKit, our advanced location manager SDK, which is available for free to iOS and Android developers. While it’s great for LocationKit to provide higher accuracy location, it’s only the tip of the iceberg. One of the things we discovered while building the SocialRadar app was that while a latitude/longitude can be useful, what we really cared about was contextual information about that location. This is part 1 of a 2 part series, stay tuned for the second part! 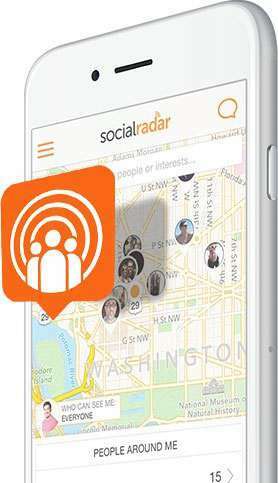 SocialRadar’s free LocationKit SDK for iOS (and soon Android!) provides advanced location technology to offer developers higher accuracy location, lower battery drain, automatic venue recognition, and detailed location analytics. LocationKit enables you to add enhanced location capabilities, and therefore personalized experiences, to your mobile applications without the need for location expertise. While we were building the SocialRadar consumer application, we came across a series of problems with existing location technology. While there are many great reasons to adopt LocationKit, our advanced location manager SDK, in your app, one of my favorites to discuss is our extensive Venue Database. The greatest difference between our database and the competition is that our database contains polygons for each address whereas most others use points to represent a location. What does that mean? In a traditional setup, each venue is represented by a single “pin” which is often attempted to be the center of mass of a particular address or building. It would be a single latitude/longitude for that place. At SocialRadar we believe that location means much more than just a latitude/longitude, it means the ability for app developers to provide personalized experiences. We also think that it should be easy to harness. So we have built a simple platform for developers to incorporate advanced location services into their applications without prior location experience. And today, I am excited to announce that technology – LocationKit – is available for download at no cost. LocationKit is an advanced location manager that provides app developers with the first improved replacement for iOS location services. By using LocationKit, developers gain access to higher accuracy location, lower battery drain, automatic venue recognition and detailed location analytics. For an overview of all LocationKit has to offer, check out our website. 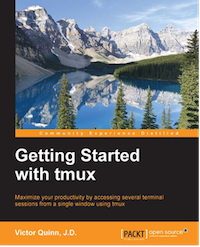 I completed work on my first book, Getting Started with tmux, which was recently published! This book, as its title would imply, is a getting started book for tmux, a command line program which can allow a single terminal to act as many. This book is targeted at anyone who is a developer, devops engineer, or other professional who spends any amount of time in a terminal. I wanted to take some time and document the process so others thinking about doing the same can have an idea of what the process is like. Back in 2011, I was using GNU Screen (another terminal multiplexer program like tmux). As I often do, I documented my process learning tmux in case it would be useful to anyone else and published it on my personal blog. Between now and then often referred to it if I forgot how to do something with tmux. Recently we wanted to integrate SPDY into our stack at SocialRadar to make requests to our API a bit more speedy (hurr hurr). Particularly for multiple subsequent requests in rapid succession, avoiding that TCP handshake on every request would be quite nice. Android has supported SPDY in its networking library for a little while and iOS added SPDY support in iOS 8 so we could get some nice performance boosts on our two most used platforms. Previously, we had clients connecting via normal HTTPS on port 443 to an Elastic Load Balancer which would handle the SSL negotiation and proxy requests into our backend running Node.js over standard HTTP. This was working nicely for us and we didn’t have to handle any SSL certs in our Node.js codebase which was beneficial both for cleanliness and for performance. I want to arrive at work and be able to sit in a chair which has a keyboard and trackpad mounted on it (perfectly ergonomically oriented to suit my body of course) and to be able to spin 360 degrees and be encircled by two dozen virtual screens which I can see simply by rotating my chair and head just as I do now with my 3 screens in the real physical world. This is a solution to the situation where you have an asynchronous task you want to perform over and over again, in a non-blocking fashion, stopping when some condition is met. To set the stage, I’ll be using the Bluebird Promise library, the best Promise library I’ve used. I’ve been using Menlo for a few years now and before that it was Monaco. But I’m always on the search for things that will make my setup better. This new open source font, Cosmic Sans Neue Mono looks like it may be my new favorite. 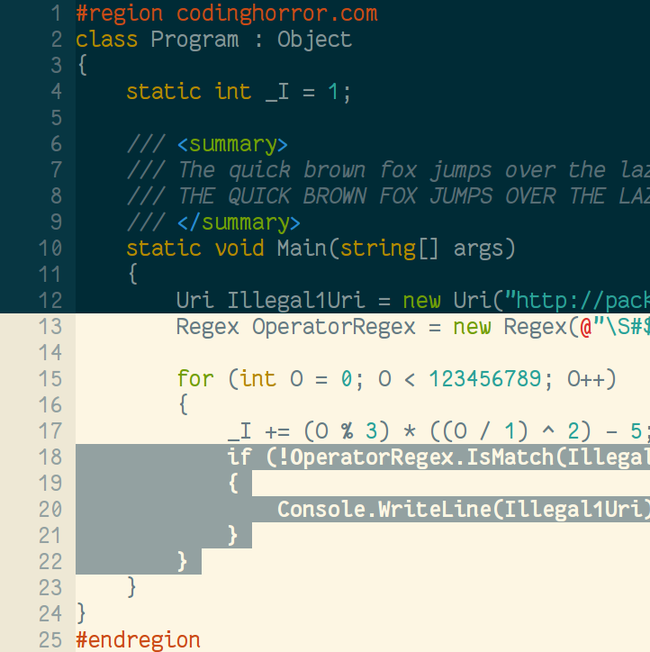 It’s monospaced so it’s good for programming, but it feels a bit more playful and fun than either Menlo or Monaco. Time will tell if it sticks, but I’m digging it thus far!